Get your invoices paid faster with Online Invoice Payments powered by Payments by Bolt. 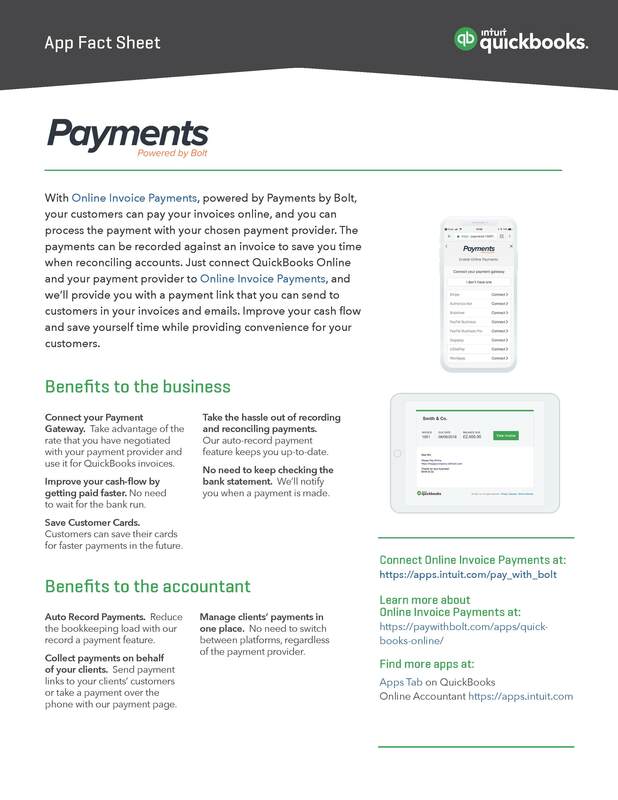 Accept online payments for your invoices, automatically record payment back into QuickBooks and get notified by email when a payment is made. Check out this case study about Bolt, a companion checklist and download the fact sheet here.